Euthanasia Prevention Coalition Euthanasia Prevention Coalition: Belgium euthanasia law - crushing the resistance one clause at a time. Belgium euthanasia law - crushing the resistance one clause at a time. Consent has been a tricky business in the Belgian euthanasia law since the beginning in 2002. Section 4 of the statute deals with making a request for euthanasia via an Advanced Care Directive. As with all advanced directives, the intention is that the document gives directives about the persons wishes should they ever lose capacity to determine for themselves. The problems with this type of direction are numerous. My primary concern is that the acceptance of such a document circumvents the mandated and most sensible role of the doctor in confirming that a request was made voluntarily, with fully informed consent and with sound mind. The Belgian law sunsets an advanced request for euthanasia after five years. In other words, if the advance request was made in the proper form more than five years ago and the patient now loses capacity, the request for euthanasia cannot be acted upon. This may be about to change. The former deputy prime minister and minister of social affairs and public health in the Di Rupo government (2011 – 2014) Laurette Onkelinx (Socialist Party) tabled three euthanasia private members bills on the 23rd of February. The first bill addresses this issue of advance directives and the five-year sunset clause. Making a euthanasia request via an advance directive circumvents the very minimal checkpoint of a doctor’s assessment as to capacity at the time the directive is completed. Professor Xavier Dijon writing in the Belgian press reflects that the original five year sunset provision had the intention of providing a point where the person would review their intentions; it was about the patient renewing their ‘continued willingness’. 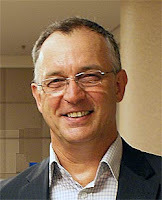 Onkelinx contends that it is ‘cumbersome’ to have to conduct a five year review. 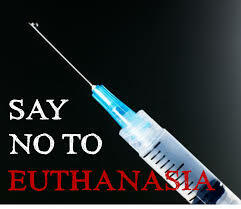 Without it, however, a doctor may be asked to euthanase based on decisions made decades ago. Onkelinx’s amendments allow for the person to stipulate their own review time period; of course, no time period is included as an option and will quickly become the default, as is the intention. Onkelinx’s amendment stipulates that the doctor must respond to a patient request within seven days and, if that response is to refuse euthanasia, he or she must transmit the file to another doctor within four days. This is not unreasonable if one accepts the validity of euthanasia given that leaving the question unanswered for an extended period of time may create anxiety; or so the argument goes. However, as Dijon observes, the creation of a time limit may well be designed to stop doctors continuing a conversation with their patient with a view to helping them through whatever emotions or difficulties that have brought them to request euthanasia and towards options less drastic. The onus of effort is thereby shifted from the patient or the patient advocate being required to find a doctor who will conduct the euthanasia, to the doctor who has refused. The doctor is thereby forced to cooperate in the act of euthanasia. For many doctors, this will be a bridge too far; a compromise that they cannot make. While the amendment stops short of mandating formally that the refusing doctor finds a euthanasing colleague, the removal of the phrase ‘doctor designated by the patient’ clearly implies as much and I would be certain that this will be the case. Dijon’s thesis is that this is all about removing the final boundaries to euthanasia in Belgium. The third bill confirms these suspicions that this is all about knocking down the last remaining resistance to euthanasia in the persons of non-compliant doctors and non-compliant medical service providers. I commented at the time that I smelled a rat: The euthanasia did ultimately occur in another place, there was little or no inconvenience and the death happened four and a half years ago. So why all the fuss? In January, the family’s lawyer, Sylvie Tack (who, incidentally has a close working relationship with pro-euthanasia bigwigs and who is giving testimony in support of this bill to the parliament) told the press that, "The new Act states that doctors and staff who are involved in the euthanasia, can have conscientious objection. But the health care institution itself should not interfere with it themselves." However, the law, to this point in time, is silent about institutions. Hence Onkelinx’s bill. Onkelinx’s intention in this third bill is clearly to stop any institution from saying no to euthanasia. However, rather than simply amending the law to reflect this fact (a motion that, I suspect even in Belgium, may not pass) she has flipped the issue on its head saying that: ‘To the extent necessary, the authors of this bill clearly state this principle: no doctor can neither be forced nor prevented perform euthanasia in the law, where he exercises.’ In short, if a doctor is approved to practice medicine in a Catholic hospital or nursing home he is free to exercise his conscience by killing his patients in that place and no one can interfere. Onkelinx refers to this as, ‘to ensure the conscience clause.’ Never mind the fact that in her second bill she clearly intends to undermine recourse to conscience. Never mind that claiming that preventing a doctor from killing a person in a hospital or nursing home causes him or her a conflict of conscience is simply farcical. We are in a deadly war against the forces of evil. Plain and simple. We must be prepared for years of battle. I pray for safety and strength for those leading the fight. Lord, deliver us from evil.